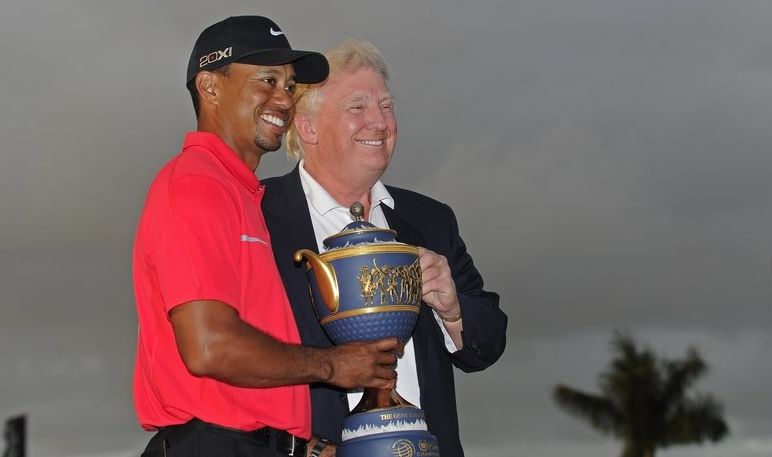 A lot of people are probably not going to be happy about this news, but I guess we will see how Donald Trump holds up with one of the greatest golfers of all time. Tiger Woods and the president-elect are scheduled to play a round of golf together on Friday. Trump has a single-digit handicap, which makes him the best president golfer once he gets inaugurated on January 20. According to a source close to Trump, the President-elect is scheduled to play golf with Tiger Woods on Friday at his Trump International Golf Club in West Palm Beach, Fla. The soon-to-be 45th president and former World No. 1 are expected to play alongside two Trump International members. Woods has played a round with current president Barack Obama before, who boasts a 13-handicap. Obama was often criticized by right-wingers for playing the sport during his presidency, as he has reportedly played over 300 rounds in the last eight years. Trump says the demands of his new job will severely limit how much he will play the sport, though he says he plans to use the game as a forum for informal meetings in the future during his presidency.